I received an email recently from Kaushik Nath, a hobbyist woodworker: "I made a lot of projects with both hand and power tools. What is bothering me is to get perfect squareness. Please suggest how to overcome this problem?" I had no ready answer, for I too struggle constantly to achieve accuracy and "squareness" in my work. There is no one way to achieve accuracy; one has to constantly work at it. Perhaps practice and experience makes working more accurate. Today, my work is far more accurate than it was a few years ago although, as I mentioned, I am far from perfect. Inaccuracies can arise due to various reasons including inaccurate cutting or measuring tools, incorrect marking or measuring, wood movement and so on. A few tips could make cutting and sizing wood more accurate. Most of us rely on the tape measure, which unfortunately is not always accurate, and this is true of other cheap rulers, squares and so on. I prefer to use folding rules when I need to measure something for cutting. When choosing rulers and squares the best are the "satin chrome" ones because they are easy to read and non-reflective. When marking, place the edge of the rule on the work to avoid parallax. When I need to cut two pieces to the exact same length, I find it easier to gang up the two pieces by clamping them together and cutting them at one go. This is better than measuring each piece individually and cutting them one by one. 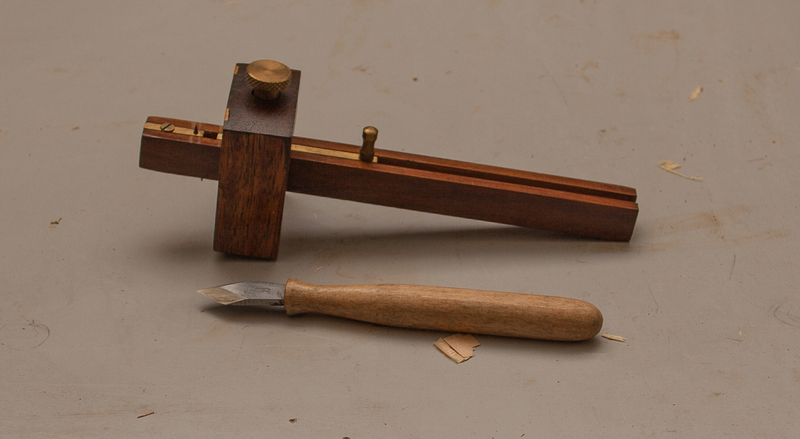 For joinery always use sharp gauges and marking knives and not rely on pencil marks. A saw is often not a tool for fine work. Even a circular saw with guides can be a few millimetres off; a cross cut might not turn out to be perfectly square. The best way to fix minor inaccuracies is with a sharp hand plane. 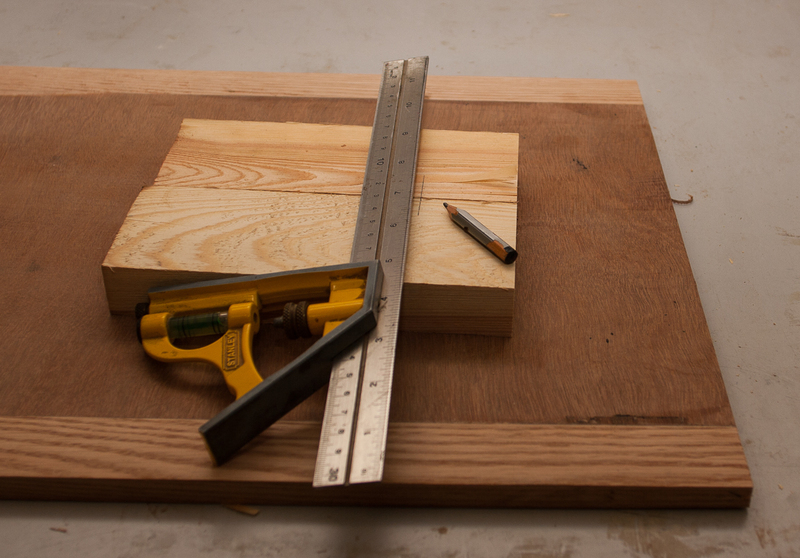 A shooting board can guarantee squareness more accurately than even the average chop saw. Once your pieces have been cut, check each one for squareness on all sides. At times, I have been frustrated by joining pieces of plywood that are not perfectly square and ending up with twisted or ill-fitting assemblies. Don't assume that plywood cuts are square - only two sides (top and bottom) are parallel to each other but the sides and ends are often not square or perfectly flat. Double check and fine tune with a hand plane if necessary. Board material especially plywood is prone to bowing, cupping and sagging. An unnoticeable bow can cause problems of squareness and ill-fitting joints. These problems can be corrected by clamping a straight piece of wood to the bowed piece prior to measuring, cutting or assembly. Gaps, misalignments, protuberances and so on can all be corrected with a bit of imagination. I do not hesitate to fill gaps with wood slivers and glue when needed and often plane down protruding sides. Thin sheets of wood can be glued on to misaligned parts and then planed down to produce the desired surface. Fixing errors is part of the woodworker's craft and rather fun too. I hope this post helps Kaushik Nath. Good luck to him . Very good information for anyone looking to improve their marking and measuring technique. One way is to calibrate all the measuring devices and discard anything that doesn't match. That is indeed important and I personally was surprised when I checked my squares and rules and found significant variations in the markings. For my squares, I finally purchased a very expensive Incra accurate square. I check all my squares against this one and do not use it for any actual measuring. I have a Shinwa and a Starrett rule to check my other rules. Kristeel rules and squares are also generally quite accurate. Rightly said Indranil, we keep on increasing our accuracy as we get more experienced with our technique and tools with our work-pieces. But even then at some point we need to stop and console ourselves with certain degree of accuracy that we have achieved. At that degree even if we place our straight-edge which is calibrated to lets say .002 inch of accuracy may fail when we place .002 inch or .003 inch filler gauge between our work-piece to check straightness, or places a calibrated try square and trying to put filler gauge similarly between work-piece and try square. Below is an expert from "Anarchist Tool Chest" by great Chris Schwarz which I would like to mention. "....There also is a deeper issue here that is important to me. We do not experience finished furniture with calipers.Instead we experience it with our eyes,our fingers and rest of our body that comes in contact with it. looks like crap or is uncomfortable, then it is a failure. because no one can see both sides simultaneously.' In other words, you need to focus on what is important - a good look and a good fit - and relax when it comes to hitting some precise number or trying to achieve perfect symmetry" -- Page 115-116. I agree wholeheartedly but Mr Schwarz I am sure is not referring to badly fitting furniture or construction either. 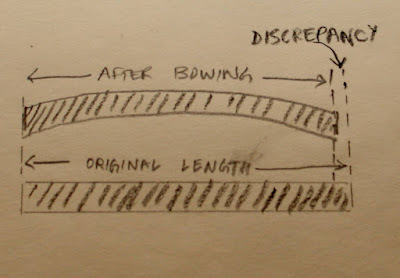 Accuracy down to thousands of an inch is absurd, so is inaccuracies of the order or a sixteenth of an inch or more. Certainly not, as demonstrated clearly on writings and working of this legend. But going cynically down beyond perceived level (1/16th or an inch is far more perceivable in naked eye), is a killer of cabinetmaking. Thank u for for your valuable guidance sir. Now I will try till I reach my goal(squareness). Sir I am a beginner to woodworking. What do you people in India do for clamps. Is it best to buy the readymade clamps on amazon or make something on our own ? Ideally as a beginner you should buy some good quality clamps as making them for a beginner might not be easy. Another cheap but very effective alternative is to use tough rope of some sort; several turns around the piece would exert considerable pressure. Even better if you could use a small stick to twist the rope to tighten it like a tourniquet. Thanks for that sir. Is there a forum for Indian woodworkers ? Yes, there is one on Facebook. DIY India I think.